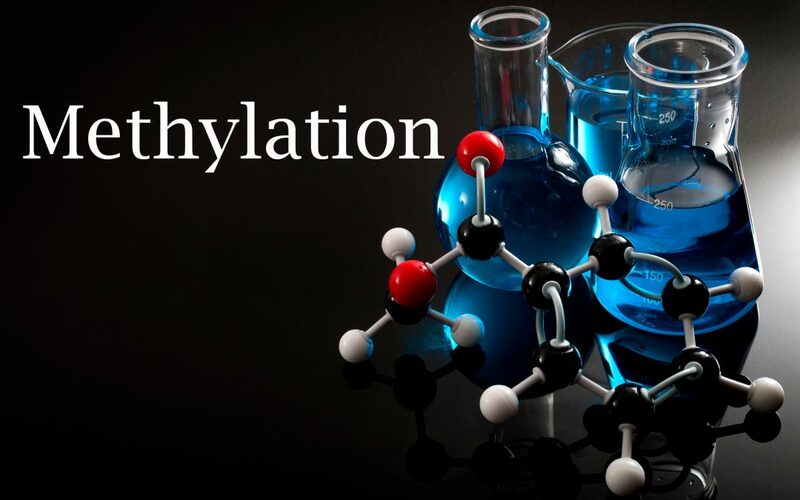 Methylation seems to be the new buzzword in health circles, yet most people have never heard this term before and few understand what it means. Dr. Anderson wants her patients at Thriven Functional Medicine to understand methylation because it plays a more vital role in wellness than many of us realize. First we need to know about methyl groups. A methyl group is one carbon and three hydrogens. When a methyl group attaches to a molecule, or is passed from one molecule to another, it acts like a kind of green traffic light causing the molecule to start doing its work. When methylation is going well, the process helps repair your DNA, regulates hormones, produces energy, protects against cancer, supports detoxification, keeps your immune system healthy, supports the protective coating along your nerves, strengthens the nervous system and on and on and on. This is why methylation is important and why Dr. Anderson checks her patients’ blood work to make sure it’s working as it should. How can I know if I am experiencing a problem with methylation? Here lies a potential issue. It has become popular for people to try to diagnose a genetic defect in their own methylation using genetic tests like 23andMe. Dr. Anderson cautions against this approach and other functional medicine doctors do as well. Just because a genetic test shows you have defect, it doesn’t mean you will have any symptoms or problems. Genetic testing sites only give us one side of the story, they don’t tell us whether or not methylation is occurring optimally within our bodies. This is why Dr. Anderson said she tests each of her patient’s homocysteine level rather than genetic testing. Having the defect doesn’t mean you will have problems but an elevated homocysteine level can indicate methylation issues. What are some symptoms of undermethylation? The most common cause of undermethylation, Dr. Anderson said, is a defect in an enzyme named MTHFR. When MTHFR is not doing its job, B2, B12 and Folic acid are not bioavailable, in other words, they are not activated into forms that the body can absorb. Not enough methyl groups means that the traffic light is not getting turned to green in some molecules which means that those molecules aren’t being triggered to do their job to keep the body healthy. However, there are many ways to work around a faulty MTHFR. Dr. Anderson said that active forms of B Vitamins are an important supplement for people whose MTHFR isn’t activating the B vitamins on it’s own. There are also other supplements and dietary changes that can assist in undermethylation. A diet containing plenty of B vitamins and folate is important, as is avoiding certain medications and decreasing exposure to toxins. Functional Medicine physicians caution that it’s important to work with a doctor to help you separate fact from all the online fiction about methylation. It’s also important to have the help of a professional because overmethylation can occur when treating methylation problems.